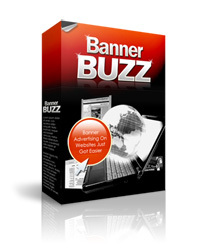 "Let This Banner Advertising Software Skyrocket Your Profits With Amazing Campaigns!" Set up banner advertisements on unlimited web pages and start seeing more clicks to your offers! Promote complimentary products using our special banners on your sales pages and show your visitors you care! Increase your sales made at your website naturally with just one banner that catches attention immediately! This software generates one simple script that displays your banner ad automatically on your squeeze page, sales pages, blog etc.! User-friendly interface makes it easy to replicate the whole banner advertising process for all your different websites!